Pre-Season Practice begins Monday, August 12th. For the first TWO weeks, all teams will practice FOUR nights a week, Monday-Thursday, from 6:00 to 8:00 p.m. Then the regular season practice schedule will begin for the remainder of the season. Most weeks Monday and Wednesday 6:00 to 8:00 pm. **The GridIron Longhorns Practice Schedule will vary slightly from week to week based on field availability. It will either be at Reading Junior High or at GRHS Practice Field from 6:00 to 8:00 p.m. Will post schedule as soon as it’s finalized. *Please Note: Not all “home” games are played at GRHS. There will be times where your team is designated as the “home” team but your game will be played at one of our other field locations. This is based on scheduling and field availability. GridIron Teams are formed based on residency within a high school zone of Fort Bend County. The zone you live in will determine which team your child will be placed on. 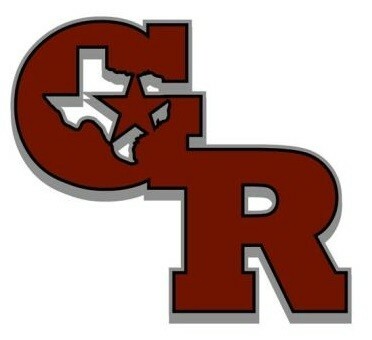 All kids zoned to George Ranch High School will be placed on the GridIron George Ranch Longhorns teams. **Proof of residency and proof of age will be required of all FIRST-TIME football registrations. For quick reference, below is the list of schools that are zoned to GRHS. Special thanks to GRHS Head Football Coach, Nick Cavallo, for your continued support of GridIron Football. CLICK HERE for the GRHS Athletic Website to view game schedules and events in your community.